Sir Barnes Neville Wallis CBE FRS RDI FRAeS  (26 September 1887 – 30 October 1979), was an English scientist, engineer and inventor. He is best known for inventing the bouncing bomb used by the Royal Air Force in Operation Chastise (the "Dambusters" raid) to attack the dams of the Ruhr Valley during World War II. The raid was the subject of the 1955 film The Dam Busters , in which Wallis was played by Michael Redgrave. Among his other inventions were his version of the geodetic airframe and the earthquake bomb. His many achievements include the first use of geodetic (also known as geodesic) design in engineering and in the gasbag wiring of Vickers' R100 in 1930, which, at the time, was the largest airship ever designed. He also pioneered, along with John Edwin Temple, the use of light alloy and production engineering in the structural design of the R100. Nevil Shute Norway was the chief calculator for the project, responsible for calculating the stresses on the frame. His Majesty's Airship R100, known simply as R100, was a privately designed and built British rigid airship made as part of a two-ship competition to develop a commercial airship service for use on British Empire routes as part of the Imperial Airship Scheme. The other airship, the R101, was built by the British Air Ministry, but both airships were funded by the Government. Despite a better-than-expected performance and a successful return flight to Canada in 1930, the R100 was broken up following the crash in northern France of its "sister" ship, the R101 (which was designed and built by a team from the Government's Air Ministry). The later destruction of the Hindenburg led to the abandonment of airships as a mode of mass transport. LZ 129 Hindenburg was a large German commercial passenger-carrying rigid airship, the lead ship of the Hindenburg class, the longest class of flying machine and the largest airship by envelope volume. It was designed and built by the Zeppelin Company on the shores of Lake Constance in Friedrichshafen and was operated by the German Zeppelin Airline Company. The airship flew from March 1936 until it was destroyed by fire 14 months later on May 6, 1937 while attempting to land at Lakehurst Naval Air Station in Manchester Township, New Jersey, at the end of the first North American transatlantic journey of its second season of service with the loss of 36 lives. This was the last of the great airship disasters; it was preceded by the crashes of the British R38 in 1921, the US airship Roma in 1922, the French Dixmude in 1923, the British R101 in 1930, and the US Akron in 1933. By the time of the R101 crash, Wallis had moved to the Vickers aircraft factory at the Brooklands motor circuit and aerodrome between Byfleet and Weybridge in Surrey. The pre-war aircraft designs of Rex Pierson, the Wellesley, the Wellington and the later Warwick and Windsor all employed Wallis's geodetic design in the fuselage and wing structures. Brooklands was a 2.75-mile (4.43 km) motor racing circuit and aerodrome built near Weybridge in Surrey, England, United Kingdom. It opened in 1907 and was the world's first purpose-built motor racing circuit as well as one of Britain's first airfields, which also became Britain's largest aircraft manufacturing centre by 1918, producing military aircraft such as the Wellington and civil airliners like the Viscount and VC-10. Weybridge is a town by the River Wey in the Elmbridge district of Surrey. It is bounded to the north by the River Thames at the mouth of the Wey, from which it gets its name. It is an outlying suburban town within the Greater London Urban Area, situated 7 miles northeast of Woking and 16 miles southwest of central London. Real estate prices are well above the national average: as of 2008, six of the ten most expensive streets in South East England were in Weybridge. The Wellington had one of the most robust airframes ever developed, and pictures of its skeleton largely shot away, but still sound enough to bring its crew home safely, are still impressive. The geodetic construction offered a light and strong airframe (compared to conventional designs), with clearly defined space within for fuel tanks, payload and so on. However the technique was not easily transferred to other aircraft manufacturers, nor was Vickers able to build other designs in factories tooled for geodetic work. After the outbreak of the Second World War in Europe in 1939, Wallis saw a need for strategic bombing to destroy the enemy's ability to wage war and he wrote a paper entitled "A Note on a Method of Attacking the Axis Powers". Referring to the enemy's power supplies, he wrote (as Axiom 3): "If their destruction or paralysis can be accomplished they offer a means of rendering the enemy utterly incapable of continuing to prosecute the war". As a means to do this, he proposed huge bombs that could concentrate their force and destroy targets which were otherwise unlikely to be affected. Wallis's first super-large bomb design came out at some ten tonnes, far more than any current bomber could carry. Rather than drop the idea, this led him to suggest a plane that could carry it – the "Victory Bomber". Early in 1942, Wallis began experimenting with skipping marbles over water tanks in his garden, leading to his April 1942 paper "Spherical Bomb — Surface Torpedo". The idea was that a bomb could skip over the water surface, avoiding torpedo nets, and sink directly next to a battleship or dam wall as a depth charge, with the surrounding water concentrating the force of the explosion on the target. A crucial innovation was the addition of backspin, which caused the bomb to trail behind the dropping aircraft (decreasing the chance of that aircraft being damaged by the force of the explosion below), increased the range of the bomb, and also prevented it from moving away from the target wall as it sank. After some initial scepticism, the Air Force accepted Wallis's bouncing bomb (codenamed Upkeep) for attacks on the Möhne, Eder and Sorpe dams in the Ruhr area. The raid on these dams in May 1943 (Operation Chastise) was immortalised in Paul Brickhill's 1951 book The Dam Busters and the 1955 film of the same name. The Möhne and Eder dams were successfully breached, causing damage to German factories and disrupting hydro-electric power. After the success of the bouncing bomb, Wallis was able to return to his huge bombs, producing first the Tallboy (6 tonnes) and then the Grand Slam (10 tonnes) deep-penetration earthquake bombs. These were not the same as the 5-tonne "blockbuster" bomb, which was a conventional blast bomb. Although there was still no aircraft capable of lifting these two bombs to their optimal release altitude, they could still be dropped from a lower height, entering the earth at supersonic speed and penetrating to a depth of 20 metres before exploding. They were used on strategic German targets such as V-2 rocket launch sites, the V-3 supergun bunker, submarine pens, and other reinforced structures, large civil constructions such as viaducts and bridges, as well as the German battleship Tirpitz. They were the forerunners of modern bunker-busting bombs. Having been dispersed with the Design Office from Brooklands to the nearby Burhill Golf Club in Hersham, after the Vickers factory was badly bombed in September 1940, Wallis returned to Brooklands in November 1945 as Head of the Vickers-Armstrongs Research & Development Department and was based in the former motor circuit's 1907 Clubhouse. Here he and his staff worked on many futuristic aerospace projects including supersonic flight and "swing-wing" technology (later used in the Panavia Tornado and other aircraft types). A massive 19,533 square feet (1,814.7 m2) Stratosphere Chamber (which was the world's largest facility of its type), was designed and built beside the Clubhouse by 1948 and became the focus for much R&D work under Wallis's direction in the 1950s and 1960s, including research into supersonic aerodynamics that contributed to the design of Concorde, before finally closing by 1980. This unique structure was restored at Brooklands Museum thanks to a grant from the AIM-Biffa Fund in 2013 and was officially reopened by Dr Mary Stopes-Roe (Barnes Wallis' daughter) on 13 March 2014. Although he did not invent the concept, Wallis did much pioneering engineering work to make the swing-wing concept functional. However, despite very promising wind tunnel and model work, his designs were not adopted. His early "Wild Goose", designed in the late 1940s, was intended to use laminar flow, but when this was shown to be unworkable, he developed the swing-wing further for the "Swallow", designed in the mid-1950s, which could have been developed for either military or civil applications. Both "Wild Goose" and "Swallow" were demonstrated by large (30 ft span) flying scale models without tailplanes; these trials were based at Predannack in Cornwall. 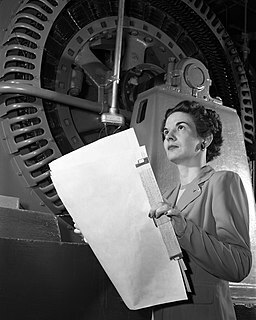 "Swallow" was cancelled in the round of cuts following the Sandys Defence White Paper in 1957, and in an attempt to gain American funding to continue the work, details of the project were passed to the USA. No such funds were made available and Wallis's design ideas were passed over in the UK in favour of the BAC TSR-2 (on which one of Wallis's sons worked) and Concorde. Wallis was quite critical of both the TSR-2 and Concorde, stating that a swing-wing design would be more appropriate. In the mid-1960s, TSR-2 was ignominiously scrapped in favour of the American F-111 – which had swing wings based on Wallis's work which the Americans had received – although this order was also subsequently cancelled. In the 1960s, Wallis also proposed using large cargo submarines to transport oil and other goods, thus avoiding surface weather conditions. Moreover, Wallis's calculations indicated, the power requirements for an underwater vessel were lower than for a comparable conventional ship and they could be made to travel at a much higher speed. He also proposed a novel hull structure which would have allowed greater depths to be reached, and the use of gas turbine engines in a submarine, using liquid oxygen. In the end, nothing came of Wallis's submarine ideas. During the 1960s and into his retirement, he developed ideas for an "all-speed" aircraft, capable of efficient flight at all speed ranges from subsonic to hypersonic. In particular, his ideas and understanding of supersonic aerodynamics led to research that underwrote the design of the air intakes for Concorde's Olympus 593 engines. Using variable geometry air intakes, the Olympus engines were able to perform efficiently at all speeds from sub-sonic take-off and climb right through to supercruise at over Mach 2. The story described in The Dam Busters reflected the difficulties Wallis often faced in persuading those in authority or who controlled funding sources to support his ideas. Following the terrible death toll of the aircrews involved in the Dambusters raid, he made a conscious effort never again to endanger the lives of his test pilots. His designs were extensively tested in model form, and consequently he became a pioneer in the remote control of aircraft. They had four children – Barnes (1926–2008), Mary (b. 1927), Elisabeth (b. 1933) and Christopher (1935–2006) – and also adopted Molly's sister's children when their parents were killed in an air raid. His daughter Mary Eyre Wallis later married Harry Stopes-Roe, a son of Marie Stopes. His son Christopher Loudon Wallis was instrumental in the restoration of the watermill and its building on the Stanway Estate near Cheltenham, Gloucestershire. In the 1955 film The Dam Busters , Wallis was played by Michael Redgrave. Wallis, and his development of the bouncing bomb are mentioned by Charles Gray in the 1969 film Mosquito Squadron. Wallis appears as a fictionalized character in Stephen Baxter's The Time Ships (though its birthdate is not the same, 1883 instead of 1887,  since he says he was eight when the Time Traveller first used his machine), the authorised sequel to The Time Machine . He is portrayed as a British engineer in an alternate history, where the First World War does not end in 1918, and Wallis concentrates his energies on developing a machine for time travel. As a consequence, it is the Germans who develop the bouncing bomb. His character and the WWII research lab are featured in the mystery British television series Foyle's War (Series four, part 2). In Scarlet Traces: The Great Game , he is responsible for the development of the Cavorite weapon used to win the war on Mars after the departure of Cavor. A public house named The Barnes Wallis exists in Howden, East Riding of Yorkshire. Wallis was involved in airship work at the airship sheds near Howden in the early part of the 20th century. A booklet is available locally and information is available in Howden library. A display is on the walls of the public house near Howden station (North Howden). The Yorkshire Air Museum at Elvington near York has a permanent display of The Dambusters raid including a replica bouncing bomb and the catapult used to skim stones to test the bouncing bomb theory. A brief history of Wallis' work is also part of the display. A public house named after Sir Barnes Wallis is located in the town of his birth, Ripley, Derbyshire. A housing estate in the North Yorkshire village Marske-by-the-Sea is named after Wallis. The estate, built upon the former aerodrome home to the RFC Marske, has streets named after various prominent WW2 aeroplanes including 'Lancaster', 'Spitfire' and 'De Havilland'. A Red Wheel heritage plaque commemorating Wallis's contribution as "Designer of airships, aeroplanes, the 'Bouncing Bomb' and swing-wing aircraft" was erected by the Transport Trust at Wallis' birthplace in Ripley, Derbyshire on 31 May 2009. A Hillingdon Council memorial is located in Moor Lane, Harmondsworth, at the site where the Road Research Laboratory conducted tests on model dams to assist Barnes Wallis in his development of the bouncing bomb. The Student Union Building on the University of Manchester North Campus is named in Wallis's honour; Wallis was awarded lifetime membership of the Students' Union in 1967. Nottingham Trent University also has a building named after Wallis, on Goldsmith Street. QinetiQ's site in Farnborough, Hampshire includes a building named in Wallis's honour, the former site of the Royal Aircraft Establishment. There is a Barnes Wallis Drive in Byfleet in Surrey within the former Brooklands aerodrome and motor circuit, also Barnes Wallis Close, Effingham, Surrey not far from where he lived. Additionally, Barnes Wallis Close in Chickerell, Weymouth, which is within sight of the Fleet Lagoon bounded by Chesil Beach, where Wallis tested the bouncing bomb, and also a Barnes Road which is off Wallis Street in Bradford, West Yorkshire. There is also a Barnes Wallis Drive in Apley in Telford, Shropshire, and Segensworth in Hampshire. In golf, a "Barnes Wallis" is a shot that bounces on the surface of a water hazard. Howden School had three "House Groups" named after Barnes Wallis, Dag Hammarskjöld and Albert Schweitzer. Sculpted busts of Wallis are held by Brooklands Museum and the RAF Club at Piccadilly, London. In Buckshaw Village, a housing estate near the Tesco is named Barnes Wallis Way. At Cranfield University, within the School of Aerospace, Transport and Manufacturing, there is a conference room named the Barnes Wallis Room. The Science Museum at Wroughton, near Swindon, holds 105 boxes of papers of Barnes Wallis. The papers comprise design notes, photographs, calculations, correspondence and reports relating to Wallis's work on airships, including the R100; geodetic construction of aircraft; the bouncing bomb and deep penetration bombs; the "Wild Goose" and "Swallow" swing-wing aircraft; hypersonic aircraft designs and various outside contracts. Other Barnes Wallis papers are also held at Brooklands Museum, the Imperial War Museum, London, Newark Air Museum and the Royal Air Force Museum in Hendon, Trinity College, Cambridge and Bristol, Leeds and Oxford universities. The RAF Museum also has a reconstruction of his post-war office at Brooklands. The Vickers Wellington is a British twin-engined, long-range medium bomber. It was designed during the mid-1930s at Brooklands in Weybridge, Surrey, led by Vickers-Armstrongs' chief designer Rex Pierson; a key feature of the aircraft is its geodetic airframe fuselage structure, which was principally designed by Barnes Wallis. Development had been started in response to Air Ministry Specification B.9/32, which was issued in the middle of 1932. This specification called for a twin-engined day bomber capable of delivering higher performance than any previous design. Other aircraft developed to the same specification include the Armstrong Whitworth Whitley and the Handley Page Hampden. During the development process, performance requirements such as for the tare weight changed substantially, and the engine used was not the one originally intended. The Vickers Wellesley was a British 1930s light bomber built by Vickers-Armstrongs at Brooklands near Weybridge, Surrey, for the Royal Air Force. While it was obsolete by the start of the Second World War and unsuited to the European air war, the Wellesley was operated in the desert theatres of East Africa, Egypt and the Middle East. It was one of two planes named after Arthur Wellesley, 1st Duke of Wellington, the other being the Vickers Wellington. A geodeticairframe is a type of construction for the airframes of aircraft developed by British aeronautical engineer Barnes Wallis in the 1930s. Earlier, it was used by Prof. Schütte for the Schütte Lanz Airship LS 1 in 1909. It makes use of a space frame formed from a spirally crossing basket-weave of load-bearing members. The principle is that two geodesic arcs can be drawn to intersect on a curving surface in a manner that the torsional load on each cancels out that on the other. The Vickers Windsor was a Second World War British four-engine heavy bomber, designed by Barnes Wallis and Rex Pierson at the Vickers-Armstrongs factory at Brooklands. The British "Victory Bomber" was a Second World War design proposal by British inventor and aircraft designer Barnes Wallis while at Vickers-Armstrongs for a large strategic bomber. This aircraft was to have performed what Wallis referred to as "anti-civil engineering" bombing missions and was to have carried his projected 22,000 lb (10,000 kg) "earthquake bomb" to strategic targets in Germany. The Victory Bomber was considered extremely ambitious: the Royal Air Force (RAF) at that time not yet having introduced four-engine heavy bombers, and to give the necessary performance, the Victory Bomber was to have six engines and was highly specialised to its role. The earthquake bomb, or seismic bomb, was a concept that was invented by the British aeronautical engineer Barnes Wallis early in World War II and subsequently developed and used during the war against strategic targets in Europe. A seismic bomb differs somewhat in concept from traditional bombs, which usually explode at or near the surface, and destroy their target directly by explosive force. In contrast, a seismic bomb is dropped from high altitude to attain very high speed as it falls and upon impact, penetrates and explodes deep underground, causing massive caverns or craters known as camouflets, as well as intense shockwaves. In this way, the seismic bomb can affect targets that are too massive to be affected by a conventional bomb, as well as damage or destroy difficult targets such as bridges and viaducts. 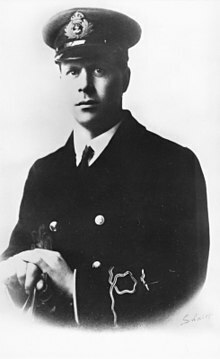 Captain Joseph "Mutt" Summers,, was chief test pilot at Vickers-Armstrongs and Supermarine. The Vickers Type 253 was a single-engined two-seat biplane general-purpose military machine built to a 1930 government specification. It won a production contract, but this was transferred to the same company's monoplane equivalent, the Wellesley. Only one Type 253 was built. RNAS Howden was an airship station near the town of Howden 15 miles (24 km) south-east of York, England. Joseph Charles "Big Joe" McCarthy, was an American aviator who served with the Royal Canadian Air Force in Bomber Command during World War II. He is best known as the commander and pilot of Lancaster AJ-T ("T-Tommy") in Operation Chastise, the "Dambuster" raid of 1943. Frederick "Freddie" Tees was a member of No. 617 Squadron of the Royal Air Force and who took part in Operation Chastise, the "Dambusters" raid of 1943, as a rear gunner. 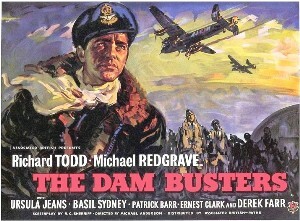 The raid was the inspiration for the 1955 film The Dam Busters. He ended his days as a barber in Letchworth. Amy Constance Gentry was a pioneer of women's rowing in England, starting at Weybridge Rowing Club where she founded a ladies section in 1920. She competed in a variety of styles and was the undefeated champion of the women's single scull from 1932 to 1934. She then became a successful administrator of the sport. Silvermere is an estate in Surrey, England named after its mere – a shallow lake of about ten acres which has a silvery appearance when seen from the surrounding slopes. It was created in the 19th century for the rich architect, William Atkinson, and subsequently became the home of the Seth Smith family, who had also become wealthy from property development. An ancient British burial mound was found on the land and the Silvermere Urn was found within. During World War II, the mere was used for experiments to develop and test the bouncing bomb. The estate is now a golf course and the final green is on an island in the mere. ↑ Holland, James (10 May 2012). Dam Busters: The Race to Smash the Dams, 1943 (illustrated ed.). Random House. p. 108. ISBN 1409030407. ↑ "Engineering Timelines - Birthplace of Sir Barnes Neville Wallis". www.engineering-timelines.com. ↑ "No. 44735". The London Gazette . 13 December 1968. p. 13425. ↑ Archives, The National. "The Discovery Service". 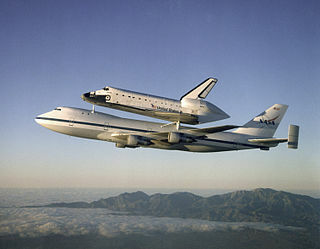 discovery.nationalarchives.gov.uk. ↑ Anderson, Tatum (16 May 2007). "History lessons at the people's university". Guardian Weekly. Archived from the original on 23 July 2008. ↑ "Barnes Wallis" (PDF). Manitoba Military Aviation Museum. Archived from the original (PDF) on 10 August 2014. ↑ Kirby, Geoff (2000). "The Development of Rocket-propelled Torpedoes" (PDF). ↑ Robertson (1992) pp. 146–147. ↑ Edgerton, David (2006). Warfare State. Cambridge University Press. pp. 227–228. ISBN 978-0-521-85636-2. ↑ "BBC – History – Historic Figures: Barnes Wallis (1887–1979)" . Retrieved 7 April 2016. ↑ webperson@hw.ac.uk. "Heriot-Watt University Edinburgh: Honorary Graduates". www1.hw.ac.uk. Retrieved 7 April 2016. ↑ Historic Methods of Entry, Christ's Hospital School. ↑ Shepherd, Jessica (2 May 2005). "Letters of love talk of maths". Birmingham Post. ↑ Pugh (2005) p. 180. ↑ libraryqtlpitkix.onion.link/library/Fiction/Stephen Baxter - The Time Ships.pdf p. 159 "I was just eight years old when your prototype CDV departed for the future..."
↑ "Sir Barnes Wallis statue". Tom White. Retrieved 11 May 2010. ↑ "Sir Barnes Wallis - Image". www.sirbarneswallis.com. ↑ "Item information: Papers of Sir Barnes Wallis". Science Museum Library, Swindon. Archived from the original on 16 June 2013. Retrieved 17 May 2013. ↑ "The Papers of Sir Barnes Neville Wallis". Janus. Retrieved 17 May 2013. ↑ "Person details: Wallis, Sir Barnes Neville (1887–1979), Knight, aeronautical designer and engineer". National Register of Archives . Retrieved 17 May 2013. Boorer, N.W. (2008). The Stratosphere Chamber. Weybridge, Surrey: Brooklands Museum Trust Ltd.
Boorer, N.W. (2008). Sir Barnes Wallis, CBE, FRS, RDII, FRAeS 1887–1979. Weybridge, Surrey: Brooklands Museum Trust Ltd. Flower, Steven (2002). Hell of a Bomb: How the Bombs of Barnes Wallis Helped Win the Second World War. Tempus Publishing. ISBN 978-0-7524-2386-9. Flower, Steven (2004). Barnes Wallis' Bombs: Tallboy, Dambuster and Grand Slam. Tempus Publishing. ISBN 978-0-7524-2987-8. Morpurgo, J.E. (1972). Barnes Wallis, A Biography. London: Longman. ISBN 978-0-582-10360-3. Murray, Iain (2009). Bouncing-Bomb Man: the Science of Sir Barnes Wallis. Haynes. ISBN 978-1-84425-588-7. Pugh, Peter (2005). Barnes Wallis Dambuster. Icon. ISBN 978-1-84046-685-0. Robertson, Peter (1992). Beyond Southern Skies: Radio Astronomy and the Parkes Telescope. Cambridge University Press. ISBN 978-0-521-41408-1. Stopes-Roe, Mary (2005). Mathematics with Love: The Courtship Correspondence of Barnes Wallis, Inventor of the Bouncing Bomb. Macmillan. ISBN 978-1-4039-4498-6. Wikimedia Commons has media related to Barnes Wallis .